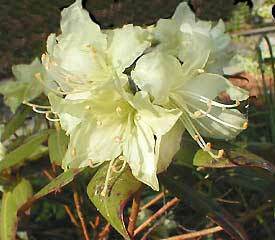 Flower/Truss Description: Widely funnel shaped, pale yellow. Inflorescence 2-6 flowered. Foliage Description: Leaves lanceolate to narrowly elliptic, 1¼" to 3" long.